Large and open pores often stand in the way of achieving our dream complexion. 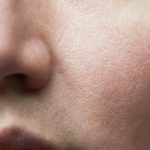 If you’re among the many others who suffer from enlarged pores and tired-looking skin, here’s the good and the bad news – you can’t make your pores disappear, but you can certainly make them look smaller with a proper skin care regimen and a few makeup techniques. If you’re eager to find out how a little bit of makeup can help in minimizing the appearance of gigantic pores, keep reading! 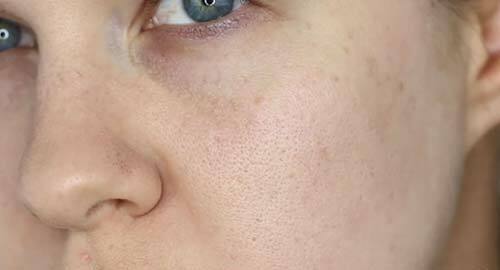 With the right products and a wee bit of professional makeup artist techniques and know-how, you can make your pores look like they’ve disappeared (at least until you have your makeup on). Here’s a tip that will always come in handy – the key to making your airbrushed complexion believable begins before you even apply your foundation. No matter what products you use on top of your skin to help refine your pores, none will work unless your skin is adequately hydrated first. Prepping is vital, and this includes cleansing, exfoliating, and moisturizing. You can also use a toner or micellar water to neutralize the skin. Ice also works as a simple yet effective remedy to help shrink large pores before applying your makeup. Choose skin care and makeup that’s suitable for your skin type. You must use products that are specifically designed to help prime and smooth your skin. Primers not only make your skin look more refined and smoother, but they also help make your foundation stick to your skin for hours on end. For very large pores, it’s best to use a silicone-based primer as these have a thicker consistency and work well to smoothen out pores, wrinkles, acne scars, and fine lines. They also prevent breakouts and aggravation of acne. 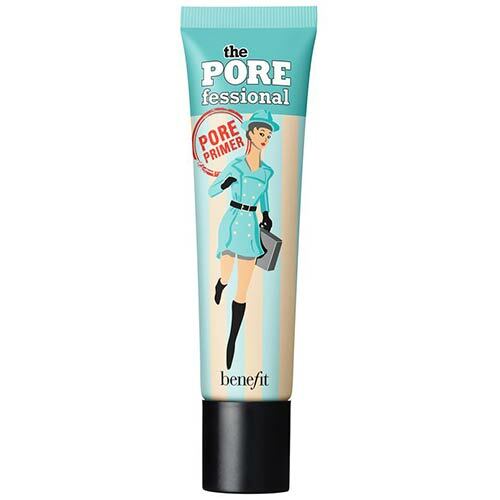 We recommend the POREfessional Face Primer from Benefit Cosmetics and the Pore Filler from NYX. When you’re looking for a foundation to conceal large pores, it’s best to avoid dewy and illuminating formulas or the ones that leave you with a matte finish. Look for products that give you a “silky,” “natural,” “satin,” “flawless,” or an “HD” finish. These work to camouflage pores and don’t feel heavy on the skin. 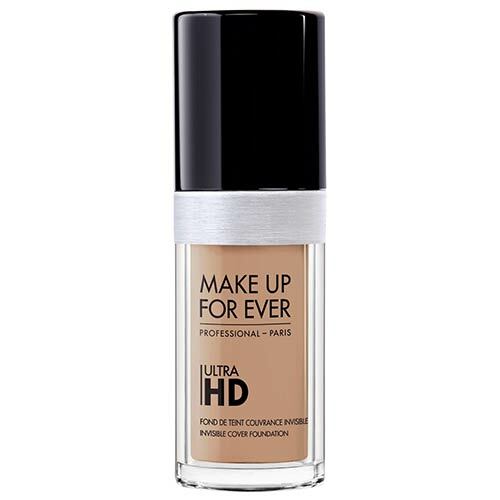 You can try Make Up For Ever’s HD Invisible Cover Foundation, which offers great coverage and blends easily into the skin. For an instant airbrush finish, a finishing powder or a setting powder can be your savior. We recommend Dermablend Loose Setting Powder, which is a translucent, waterproof powder and stays put for 16 hours without caking! 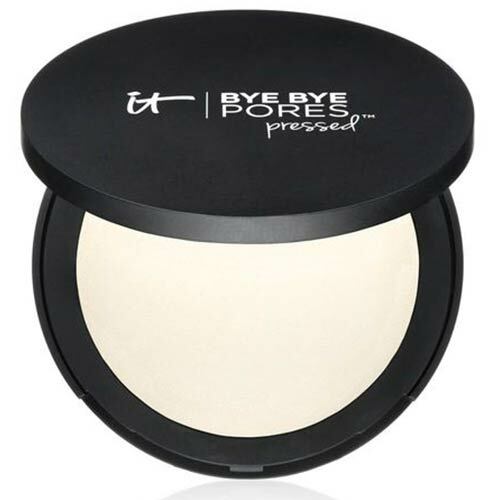 If you want something for on-the-go touch-ups, try IT Cosmetics Bye Bye Pores Pressed Anti-Aging Finishing Powder. Use makeup brushes with soft, high-quality bristles. Also, using a dense foundation brush will help your foundation fill and cover enlarged pores, rather than sweeping over them. Follow the steps to disguise large pores with makeup and achieve a flawless base. Start by washing your face with a gentle, oil-free cleanser. Apply an alcohol-free toner or some micellar water to eliminate dead skin cells or other bacteria. Apply a lightweight, hydrating moisturizer. For best results, choose one with Salicylic Acid, which will help make your pores appear smaller. Once you moisturize, give your face at least five minutes before moving on to the primer. Take a little bit of your pore minimizing primer and use your fingers to work it deeply into the areas with enlarged pores using circular motions. Next, apply firm pressure with your fingers and gently pat the areas where you applied your primer. This helps to smooth the product out and give your skin a more even, smooth base. 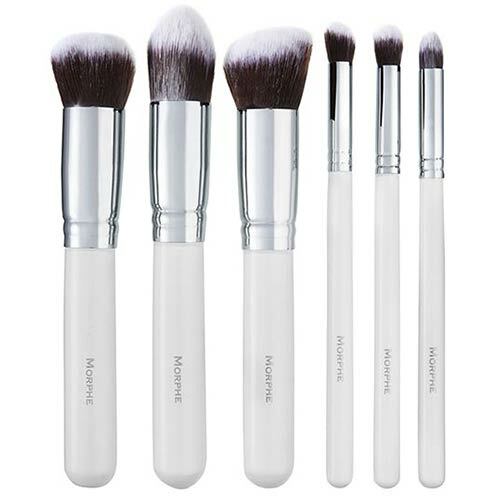 Use a small stiff brush to work your foundation into areas where you have enlarged pores. 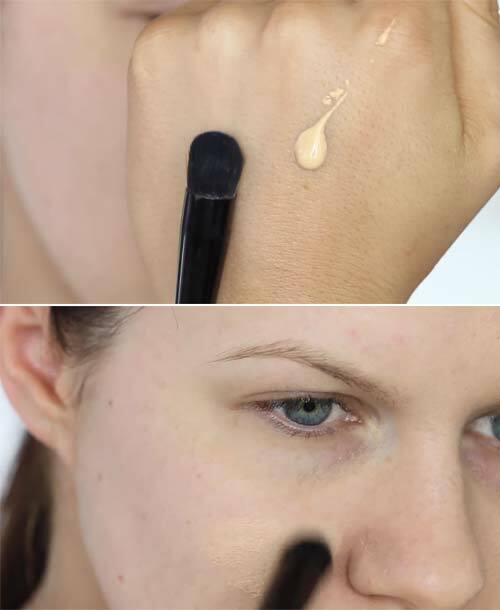 Work this brush in a circular motion over the affected areas, so your foundation formula covers the entirety of the pores and does not just skim over the top of the skin. Once you finish this, use a regular foundation brush in stippling motions to go over other areas. Use a powder puff to apply your setting powder. Fold it in half and use firm pressure and roll that powder puff over the skin to deposit the powder right into the pores. You can do your lips and eyes to finish the look. Now that you have a fair idea of how you can use makeup products and tools to visibly shrink pores and smooth out your complexion, here are a bunch of other essential tips that will come in handy. Remember, to actually make your pores look smaller with makeup on, other important factors also contribute to the dream (for instance, how well do you look after your skin?) Take a look! The key to making pores look smaller is to keep them clear. Dermatologists always advice sticking to non-comedogenic makeup and moisturizers. Avoid products that contain heavy ingredients like mineral oil, petroleum, and chemicals that may irritate pores and make them look even bigger. We can’t stress enough upon how important exfoliation is – use a gentle scrub to deep clean areas where pores are more noticeable, like around the chin and nose. Experts recommend exfoliation two to three times a week to slough away dead skin cells. Follow a proper regimen for your skin – CTM (Cleansing, toning, moisturizing) routine will be your skin’s best friend! You can also incorporate retinol and exfoliating acids like glycolic acid to help clear up your skin and get the gunk out of the pores. Wearing a broad-spectrum sunscreen with a minimum SPF of 30 is critical not just to prevent the enlargement of pores from sun damage but for the overall health of your skin. Don’t be aggressive when you clean and exfoliate your skin. Also, skin picking can only worsen the condition of your face and can cause serious damage to your pores. Get facials every four to six weeks because a little professional exfoliation and extraction can help your skin look and feel healthier. You can start by drinking a lot of water and swearing by your moisturizer. Don’t skip it even for a day because your skin will respond by producing excess amounts of oils that will further clog up your pores. You can also use a hydrating serum before putting on your moisturizer to shrink pores and plump up the surrounding skin. At-home treatments such as face mask and peels work well with consistent use. Use a mask containing charcoal or clay to absorb the oil out of your pores. Also, if you have different types of problem areas, you can try the multi-tasking technique. 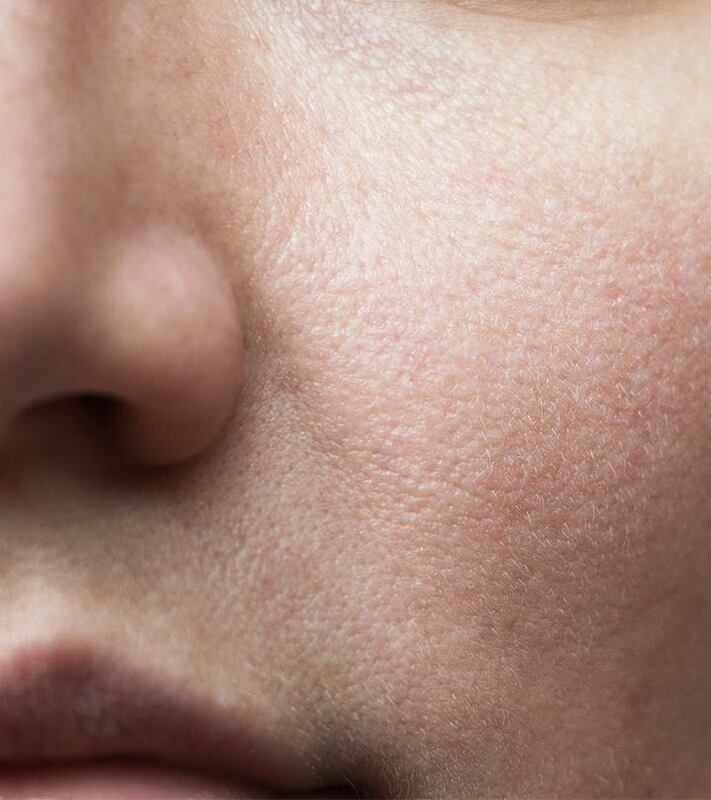 If your genes aren’t responsible for those large pores, have you wondered what you could do and not do to prevent having gigantic pores in the first place? Because prevention is always better than cure. Eat right and maintain a healthy diet. Avoid processed foods that can inflame your skin and cause clogged pores. Do not use oil-based skin products. We all wish to have a luminous, poreless skin and yes, the struggle is real! Don’t be disheartened if your skin isn’t perfect. 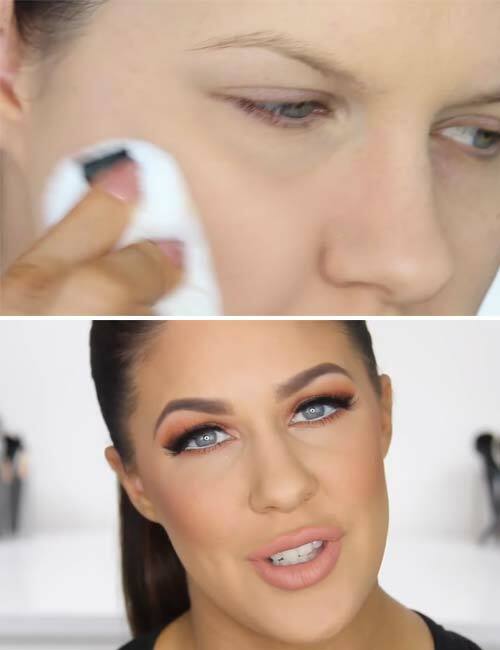 Keep in mind that incorporating a few simple techniques to the way you take care of your skin, and also to how you do your makeup can make a whole lot of difference to the appearance of pores. What are your go-to steps to cover up pores? Let us know in the comments section below. Previous articleWhich Eyebrow Shapes Suit Your Face Shape?